Michael Patterson and Arkansas Early Learning, Inc.
Michael Patterson and Nelson Walter co-founded Arkansas Early Learning in 2010. In less than three years, the not–for-profit program has grown to provide comprehensive school readiness services to over 900 children and families annually through 21 locations and employ over 200 people. Dramatic growth they attribute partly to the use of automation. As a consultant, before starting his own program, Michael worked with two other Head Start programs and implemented draftonce at each for use in enrolling children and for employment applications. He’s created a nearly paperless process using a signature pad to capture parent signatures on PDF and RTF documents generated from draftonce. Pictured here are the kiosks he’s installed at each center. 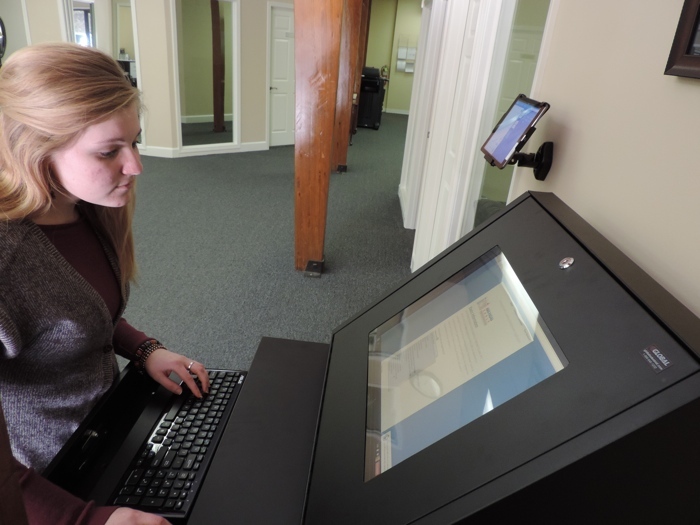 Parents and job applicants use the kiosks to access draftonce at each center and complete child enrollment applications and apply for jobs. To learn more about Arkansas Early Learning and the good they bring to their six county region, click here.